Place where you can have a great time with your family and friends, and, of course, try the best steaks and wine in St. Petersburg. First open 2014, we were among the first to introduce St. Petersburg to the culture of alternative cuts, putting them in the menu along with classic cuts. 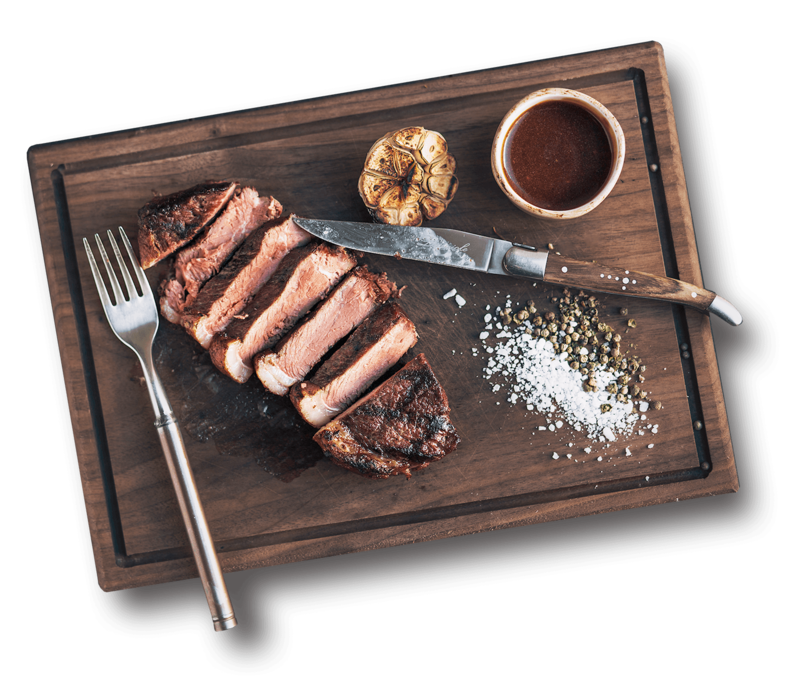 We continue to promote this culture now, by offering our guests a product that is simple and easy to understand — a perfectly grilled steak. Here are some of the dishes from our main menu. The name Red, in principle, quite fully describes the restaurant's concept: red meat and red wine - what else is needed for a steakhouse!